She's Sew Crafty: Happy Birthday, Punk! Hello! 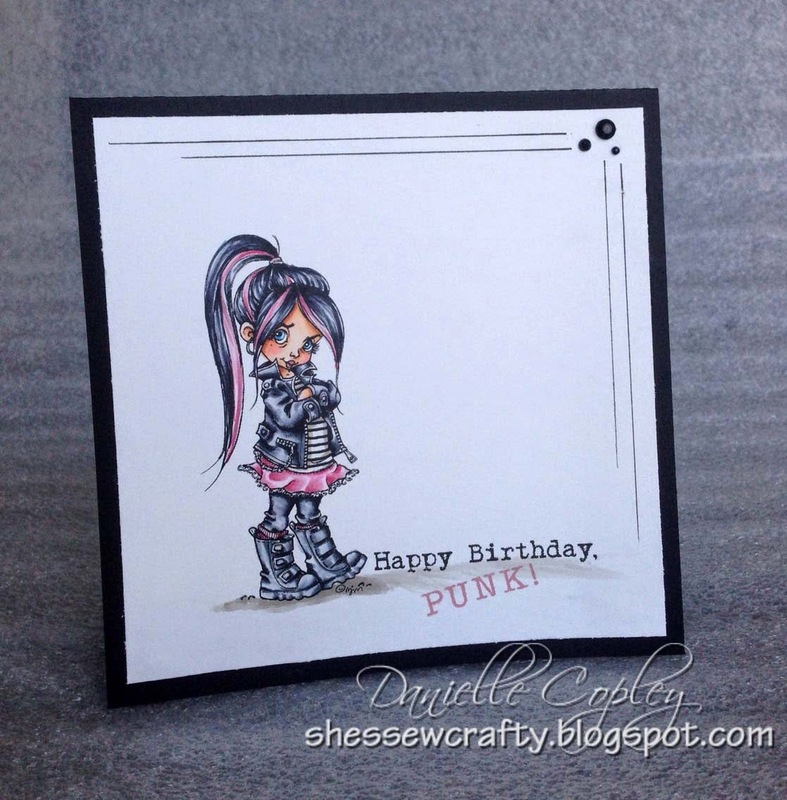 I have a super quick and fun birthday card to share using Little Punk from Mo's Digital Pencil. It comes with a cute sentiment of which I have used half. I love how easy it is to make a handmade card for someone using just a fabulous Mo image and, Voila!,your done! Now there's no excuses not to whip up a last minute card!